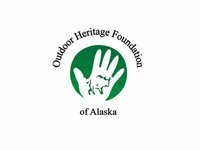 The Outdoor Heritage Foundation of Alaska (OHFA) is the official foundation of the Alaska Department of Fish and Game. OHFA promotes the conservation and wise use of Alaska’s natural resources through broad-based education initiatives designed to provide Alaskans the skills and knowledge to enjoy the outdoors in a safe, responsible manner. OHFA also accepts donations and pursues grants with the goal of financing scholarships, as well as ADF&G research and management programs. All OHFA efforts focus on scientific management of fish and wildlife resources and the habitats they depend upon reflecting concepts of the North American Conservation Model as envisioned by such early conservation leaders as President Theodore Roosevelt. OHFA is also dedicated to the education of policymakers and is therefore engaged in granting support to the "Legislative Outdoor Heritage Caucus for educational purposes. OHFA partners Alaska’s major conservation groups and businesses that support those Alaskan traditions associated with the outdoors. Successful programs hosted by ADF&G and OHFA include: Becoming an Outdoors-Woman, Hunter Clinics, Alaska Outdoor Kids (A-OK), Rabbit Creek Youth Shooting League, Alaska Conservation Camp, Youth Education Summit, Hunter and Trapper Oral History Project, and many more.